One of the best parts about visiting a new place is looking for souvenirs. Kyoto is famous for its fantastic green tea culture, and sure enough many of the souvenirs there incorporate the magical flavor of matcha. Here are some of the most spectacular matcha green tea sweets you can find in Kyoto, brought to you by Trip101. Hannari Café is a café that specializes in matcha sweets. It was originally a candy store and one of the best products there is the Midori-no-Kiwami. This is perhaps the most luxurious candy box for a souvenir—concentrated matcha candy is coated with matcha powder. 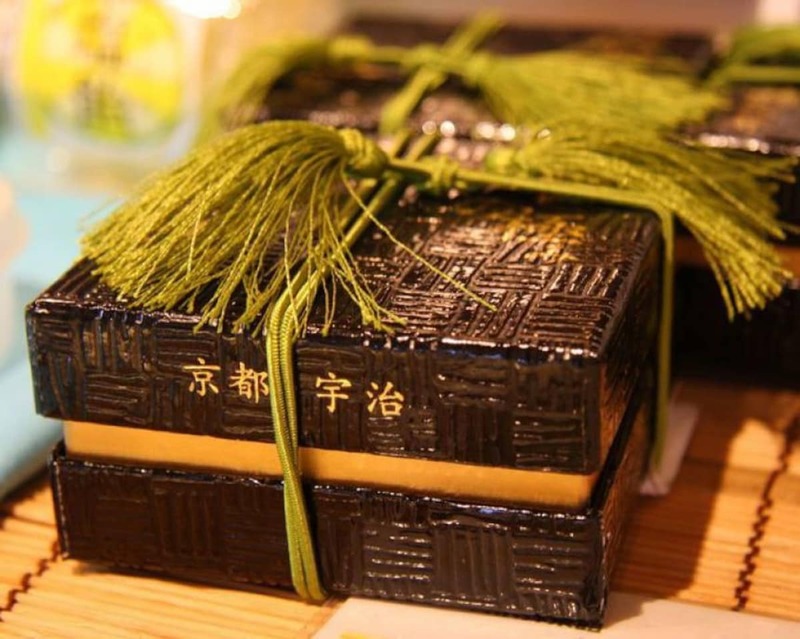 It's all housed in the grand-looking box that can be used even after the candies are finished, making it a fantastic souvenir to bring back from Kyoto. Lotte is one of the most famous snack brands in Japan, and usually their tasty treats can be found all over the country. But this Kyoto exclusive is the Kyomi-flavored Lotte Chocopie. Kyomi literally means "Kyoto flavor." The pie is crunchy on the outside and soft on the inside, and is filled with Uji matcha and black soybean filling, which blend together for that great "Kyoto flavor." Morinaga is another classic Japanese snack brand, and one of its most famous products is the Morinaga Caramel. Available in Kyoto is the matcha-flavored Morinaga Caramel, which is exclusive to the Kansai region. The blend between the sweet, mouth-watering caramel and lightly bitter matcha is amazing! Pocky is a Japanese snack that has crossed many borders, and is an international favorite. For those who don't know, this snack—produced by the company Glico—is a stick cookie coated with chocolate, or other flavors. Exclusive to Kyoto is the Glico Giant Pocky Uji Matcha flavor, which was made in collaboration with Tsujiri—a green tea shop that's been satisfying customers since 1860. This blend of old culture and modern sweets is another fantastic souvenir which showcases the matcha tradition in Kyoto! Kaki-no-Tane is a famous Japanese snack—it's a peanut snack coated in soy sauce that looks kind of like the seeds of a persimmon, which is where it derives its name (kaki means "persimmon," while tane means "seed"). 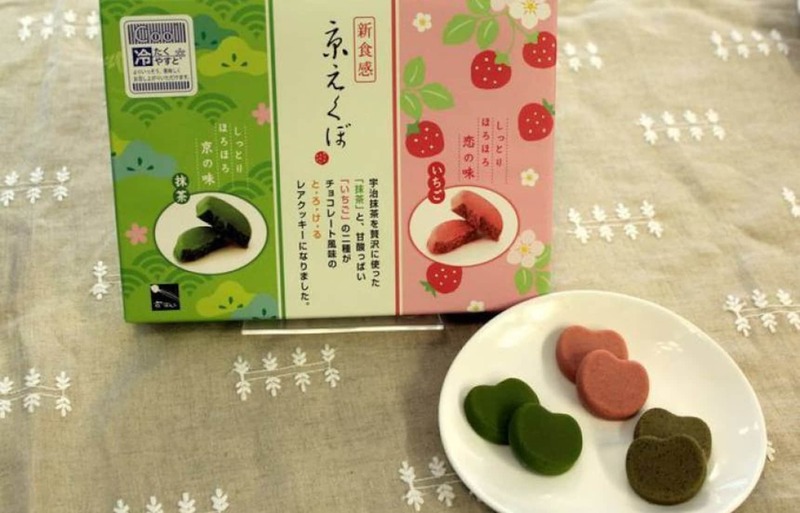 The Uji Matcha Chocolate Kaki-no-Tane is a unique souvenir exclusive to the Kansai region. Instead of soy sauce, bittersweet matcha and chocolate coats the spicy Kaki-no-Tane, creating a surprisingly addictive harmony of tastes you have to try for yourself! Kit Kat is a snack that needs no introduction, since it's famous the world over for its unique local flavors. The Kyoto-exclusive Uji Matcha Kit Kat is one such local flavor. Made using Uji matcha from Itohkyuemon, one of the most renowned Uji matcha brands in Kyoto, with over 180 years of history. The fantastic combination of white chocolate and matcha makes a perfect souvenir sure to please Kit Kat fans everywhere. Aozashikarari is a sweets store located in the Kyoto Isetan building, which is connected to the JR Kyoto Station. It is most famous for the snack that shares its name—the Aozashikarari, which is a cracker with different types of filling. There are various flavors such as curry, kinako (roasted soybean) and the acclaimed matcha flavor. Although there's also an Aozashikarari branch in Osaka, this matcha flavour is exclusive to Kyoto, so if you want it you have to go and get it! For even more matcha madness, read the full story from Trip101 via the link below.